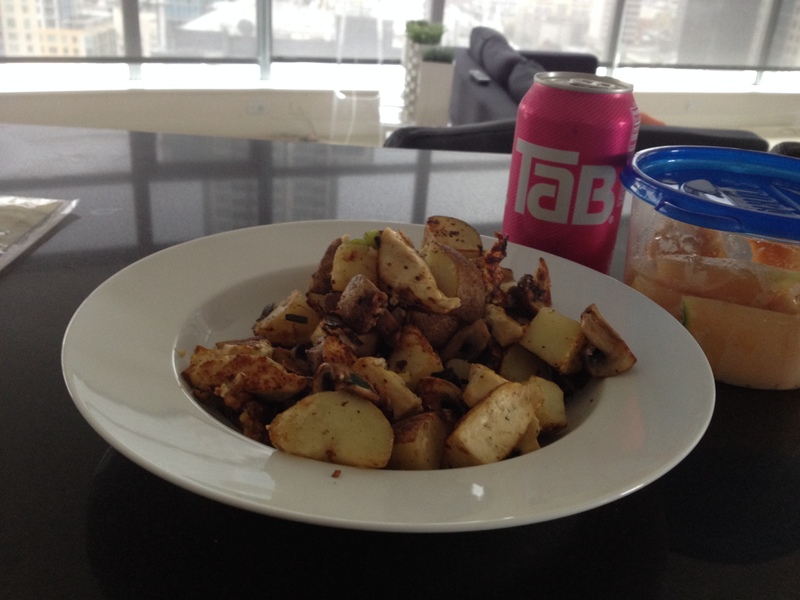 I made this with 300g of potatoes, 125g of tofu, 6 mushrooms, one green onion, and a clove of garlic. I use olive oil to cook, and add plenty of salt and pepper. This is probably about 400 calories, but I’m not counting. I also had some cantaloupe, because you can’t each too much whole raw foods like fruit (the more the better).